FFA - Welcometotampafl.org to warn about Islamic progression in Tampa. Tampa officials and political allies who hold strong progressive beliefs are embracing and empowering Islamic rules without regard for how their implementation could seriously diminish traditional American values. 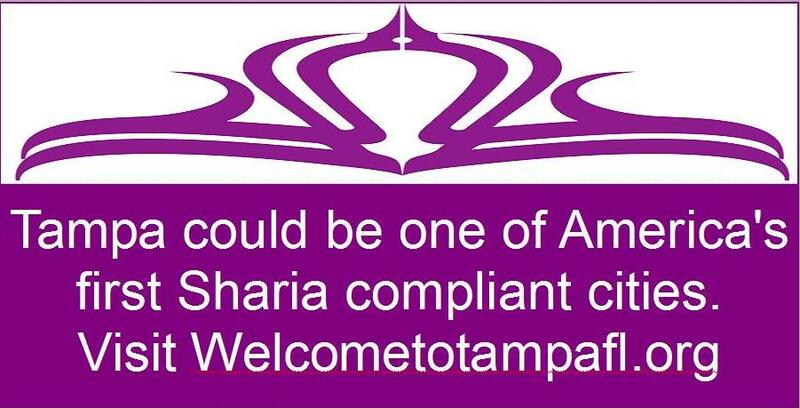 Florida Family Association launches Welcometotampafl.org to warn about Islamic progression in Tampa. Welcometotampafl.org is a project of Florida Family Association that is designed to warn current and future citizens of Tampa about the growing acceptance of Islamic policy and Sharia law by local officials. Islamic forces are weighing hard on the traditional public policies in Great Britain and pushing for the same stronghold in Germany and France. Similar forces are achieving significant Islamic changes in Dearborn and Hamtramck Michigan and other American cities including Tampa. Tampa officials and political allies who hold strong progressive beliefs are embracing and empowering Islamic rules without regard for how their implementation could seriously diminish traditional American values for years to come. Hopefully and prayerfully Tampa officials will become more responsible regarding the threat of Islamization as a result this Florida Family Association effort. Florida Family Association will create similar web sites for other cities if this effort is successful. Florida Family Association plans to invest in promoting Welcometotampafl.org through online media public relations. If the resources are available we want to purchase one or more billboards in prominent Tampa locations to raise even more awareness. Checking out Welcometotampafl.org and giving us your comments by clicking the Contact Us button in the header of this email. There are more articles in the process of being added to the site. Forwarding the link Welcometotampafl.org to family, friends, fellowship groups and business acquaintances and encourage them to read the information. Making a confidential, tax deductible donation to help pay for advertising this site through online placements and billboard(s) to be strategically placed around Tampa. Click here to make your donation online or mail check to Florida Family Association, Inc., PO Box 46547, Tampa, FL 33646-0105. All donations raised through this request will be used exclusively for this project. Praying that citizens will take action and officials will stop embracing radical Islamic policy. Click here to see Welcometotampafl.org.